American multinational information technology giant Hewlett-Packard Co. is planning to split its less profitable corporate hardware and services operations from its more successful printer and personal-computer business. In other words, the Palo Alto-based company is going to break itself into two separate entities. The Wall Street Journal broke the story during the weekend, quoting unnamed people who claim to be familiar with the plan. Hewlett-Packard, commonly known as HP, will carry out the split via a tax-free distribution of stocks to shareholders in 2015. If everything goes according to plan, HP will become two publicly traded firms, each one with annual revenue exceeding $50 billion. Several companies have opted for a break up this year. In September, eBay President and CEO, John Donahoe announced that PayPal would be spun off in the second half of 2015. 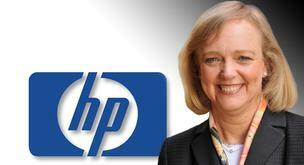 In 2011, Meg Whitman was brought in to change HP’s fortunes. Also in September, Amsterdam-based multinational Royal Philips announced a plan to split its lighting and healthcare divisions. The healthcare and consumer lifestyle units will merge and become one company called HealthTech. HP has been struggling in a changing market. In May 2014, the company said it would be firing 16,000 more employees than the 34,000 it had originally planned to lay off, after publishing better profit but lower revenue figures for the quarter. HP, known for its software design, personal computers, server systems and printers, has faced growing competition and rapid changes in the technology industry. Chinese company Lenovo knocked HP out of first place to become the world’s biggest PC maker in 2012. Former eBay chief, Meg Whitman, was brought in to head HP in September 2011. A restructuring plan was launched in 2012 aimed at simplifying the company’s business processes, encourage innovation, reduce costs and ultimately deliver better results. Ex-Chairman of HP, Ralph Whitworth, was quoted by the Wall Street Journal as saying “This (the split) would be a brilliant move at just the right moment in the turnaround. It would liberate significant trapped value.” Mr. Whitworth’s company, Relational Investors LLC, owns about 1.5% of HP. According to rumors flying around Wall Street, Ms. Whitman will become Chairman of the printer and PC business, which will be called HP Inc., and CEO of Hewlett-Packard Enterprises (the other entity). Patricia Russia is slated to be Chairman of the enterprise firm. Hewlett-Packard Co. was founded in a one-car garage by Bill Hewlett and Dave Packard in 1939. The company helped usher the personal computer revolution. In 2013, HP posted sales of $112.298 billion and net income of $5.113 billion. The company employs more than 317,000 workers worldwide. IT stands for Information Technology. It refers to the use and maintenance of computer networks, software, hardware, and systems.